Communications Korea Begins "Embassy PR Service"
Communications Korea (CK) has recently launched the "Embassy PR Service," a specialized strategic retainer service for the diplomatic community in Seoul. The "Embassy PR Service" is expected to be very helpful to the foreign embassies with tight budgets. CK has recently developed "Embassy PR service package" to provide the foreign diplomatic community professiona withl a guide for media relations and marketing programs in Korea. Through the service the foreign embassies can build positive images of their own home country among Korean people and can effectively promote their bilateral relationships with Korea, therefore successfully enhancing it';s country brand value, according to a CK source. "It is not easy for foreign embassies in Korea to directly handle local media for their own good," said the CK source. "Given the uniqueness of Korean media scene, including media pool system, demands of equal access and treatment, strong investigative reporting tradition, it is crucial to get help from media specialists for effective country branding and public diplomacy in Korea," the CK source said. CK source said that each designated PR manager of Communications Korea’s designated Embassy PR Team will assist each embassy with the monthly retainer fee of USD 1,500. The special PR service will also be available at the discount rate of USD 15,000 per year. But advance payment should be made with an annual service agreement. 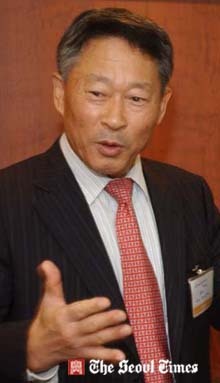 Communications Korea (CK) was established in 1987 as the first PR agency. It has led Korean PR industry since. Communications Korea has retained its leadership in a variety of fields including media relations, media training, crisis management, MPR and public policy PR, communication roadmap service for public organizations, and general PR training. Over two decades Communications Korea has met various needs of diplomatic community in Korea from diplomatic missions, to Royal visits to Korea, to investment seminars, to student recruitments, to tourism promotions, and to country branding. Communications Korea has helped marketing activities of various foreign companies and public institutions such as Ford Sales & Services Korea, ETS, UL, Tourism New South Wales (Sydney) currently, and F16 against F18, New-Bridge Capital in the past.